I'm back in Chiang Mai again for the next four months from now until February 2019 and am dedicating myself to Brazilian Jiu-Jitsu (BJJ) once again. I did a bit of Muay Thai last trip, but since I no longer compete, I figured I'd give my body a bit of a break and focus on improving my grappling instead. A lot has changed in the Chiang Mai BJJ scene these last couple of years. Fight Fit has become Muay Thai only and partnered with Pura Vida next door to offer grappling, Pure Grappling is a new break away gym that opened up and is now independent, no one goes to CMU BJJ anymore, Team Quest Thailand is still going strong, and another gym with the ultra generic name, Chiang Mai Brazilian Jiu Jitsu is opened in the old city. There's lots going on, and my mission is to check out and review all of the BJJ gyms in Chiang Mai during this trip, let you know the pros and cons, and keep all the My Fight Camp readers and fans updated on the best BJJ schools in Chiang Mai. Keep reading for all of the info, the history of BJJ in Chiang Mai, the drama, and where i'm currently training and what school I recomend. Lets first start off in chronological order of how it all started and which schools came first. Back in 2009 - 2015 before all of these new gyms opened, the place to go for BJJ in Chiang Mai was the gym inside of Chiang Mai University. People loved that it was pretty much free to use the mats at the CMU's gym, although technically you needed a 300 baht a year school gym card that most people didn't even bother registering for. But the downsides were that they were shared mats so sometimes Judo or other classes would be there, and since no one owned the gym, no one would take the responsibility to clean the mats aside from the Judo guys which were nice enough to do it twice a week. There was also no formal classes, dedicated teachers, etc. It was the wild west back in then and we loved it. I'm thankful we got lucky and no one got staph or ringworms from the dirty mats. 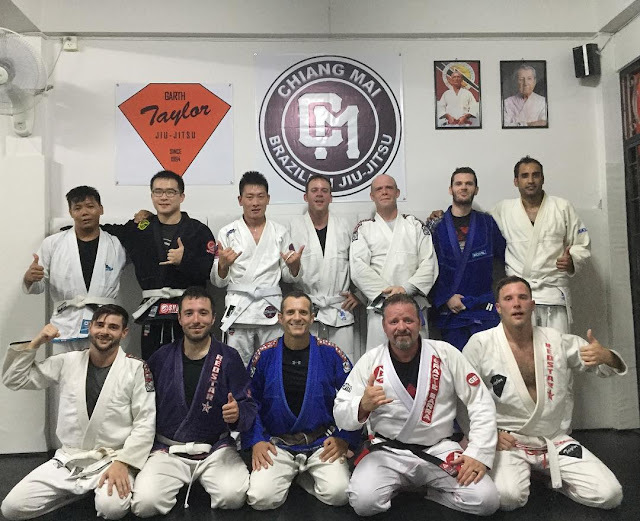 It was a great time and we were completely self organized through the original Chiang Mai BJJ facebook group where people would simply post, "who's training today? I'll be there at 4pm." It was casual rolling, no classes, drills, or anything fancy, and it was mostly white belts, often in Judo Gi's as it was hard to find places to buy BJJ Gi's in Chiang Mai at the time. We'd have a few blue belts and even the occasional purple show up and a bunch of travelers who just happened to be in town. We would even get a brown or black belt in town who'd come by and help us out, but most of the time, it was up in the air and group sizes would vary from 2 people to 10 and it was completely self organized with the help of the OG's like Nigel, David, and Jorgen who we have to thank for all of those years of their help and work. The first real gym to offer real BJJ Classes in the past few years since Golden Triangle IMA and Pedro Schmall which both closed years ago in Chiang Mai was Team Quest Thailand. It was refreshing to have structure, clean mats, and a real place to train. The sold Gi's, had a real black black instructor, and had a class schedule. 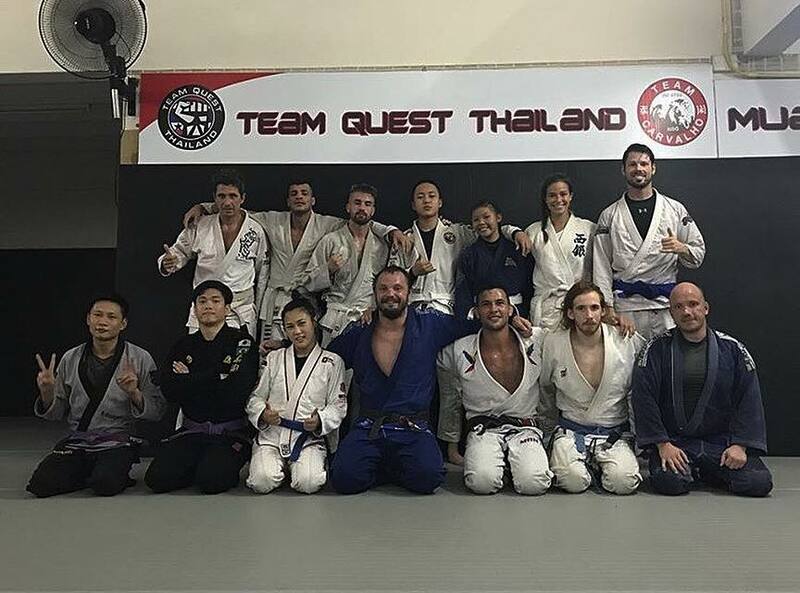 I wrote a review of my first day training BJJ at Team Quest Thailand a few years ago, and even though some things have changed since then, from what i've heard they're still a great gym. If you're looking for a proper MMA type gym experience like the ones you have in Phuket such as Top Team, Tiger Muay Thai, etc, Team Quest is the place to go. I'll always be grateful for them being the first gym to bring BJJ to Chiang Mai during the time I was here since 2013. They may not be the oldest ever but they are the oldest still in operation Brazilian jiu-jitsu gym still operating in Chiang Mai and one of the best in terms of bringing in high level black belts, and combining with MMA. The only downsides is that it's located near the airport, which is a bit far from where I like to stay in the Nimmanhaemin. Here's a blog post about finding apartment in chiang mai as well as the neighborhood break down and map of where to stay. Visit the Team Quest Thailand website here for more info. Or the Team Quest Thailand Facebook page as their website is usually broken. In 2016, Chiang Mai Fight Fit opened a beautiful new location just off the superhighway past Maya and just past GoGym and the old CrossFit location. They had big beautiful mats, a ton of rolling area, and free open mat sessions on both Saturday and Sundays. It became our favorite place to roll mainly for the location, mat layout, because it was brand new, and because the owner Nat was cool enough to have free open mats on weekends. It completely replaced the old CMU sessions, and became the alternative to TQ if you wanted to live closer to the Nimman Area. Sad news is that their lease came up recently in 2018 and for whatever reason, they couldn't or didn't renew and moved locations. They are now located near Central Festival Mall off the superhighway across the river, which to be honest is a bit too far for me to want to drive to even if they continue to be a great gym. The other downside is because the gym is now smaller, they have switched to being Muay Thai only, and have partnered with the new gym Pura Vida BJJ just next door for grappling. Good news is if you want to do both Muay Thai and BJJ, you can get a combination membership and have access to both. Their official website is supposedly: chiangmaifightfit.com but seldom works. The new official partner gym for Chiang Mai Fight Fight, and located on the first floor in a converted retail space in the building next door of what looks like an big apartment complex is Pura Vida. The space isn't huge, but it's perfectly sized for small to medium classes and is adequate. The instructor was super friendly, and overall, I think if you were training at Fight Fit or lived in that area, you'd enjoy it. Even before going, just based on the location on the map, I already knew that I most likely wouldn't drive there very often to train as it's too far from where I live in Nimman, especially since this year I'm on the other side of Sutep road, behind Wat Suan Dok. I honestly mainly went to check out the new gym to see what it was like and to see if one of my two Gi's I left at Fight Fit last year were still there. I was a bit disappointed that they weren't, as the main reason I left them there instead of in storage is so other bigger guys would rent or borrow them while they were traveling or just in town for a few weeks. I know that it most likely just got lost in the move, but not only do I now have to buy another Gi, but more importantly, I don't know if anyone got the benefit of my good will of leaving them in the first place, or for how long. Also Pura Vida is more geared towards No-Gi so expect a heavier focus on training without the gi. or on the Pura Vida Facebook page. This is where a bit of drama and confusion comes. But basically after Fight Fit closed their old location and moved to a Muay Thai only gym, a new gym called Pure Grappling opened up and briefly became their new BJJ school partner. However there was a bit of falling out between some of the instructors, owners and staff on how they wanted the school run, and what they wanted to focus on, which is why the memberships and staff are now split into two, with some going to Pura Vida, and some staying at Pure Grappling. Either way, since as a customer, it doesn't really affect me, and if anything, now gives me the choice of two schools to choose from instead of just one. I ended up going to an open mat day at Pure Grappling, and loved their location just off of Nimman and the two floor, super clean and well lit space. I ended up buying a Gi from them and going to their normal classes the next week. It's now my BJJ school of choice mainly because of their Gi focus which is what I prefer, and because of their location which is a 10 minute walk from where I'm living. I've been saying for years and years that if a BJJ Gym would open in the Nimman area, it would be my top choice, as one of the biggest benefits of the old CMU gym was the location. It was a really smart move for these guys to open up here as location really is key for a lot of people who want to live in the Nimman area of Chiang Mai and don't want to drive on the highway to get to class. or find them on Pure Grappling Collective on Facebook. The only gym I didn't check out was Chiang Mai BJJ. I messaged them a few times and as but didn't end up going as they don't offer any open mat times which is how I like to first check out a new gym before committing to classes. They have a great location just outside the North East Gate of the old city, and a functional website with clear pricing, schedules, and information unlike most other BJJ gyms in Thailand. I also really like that they have memberships that include Gi rentals as a lot of people traveling through Chiang Mai don't want to carry a Gi or buy one for a short trip. 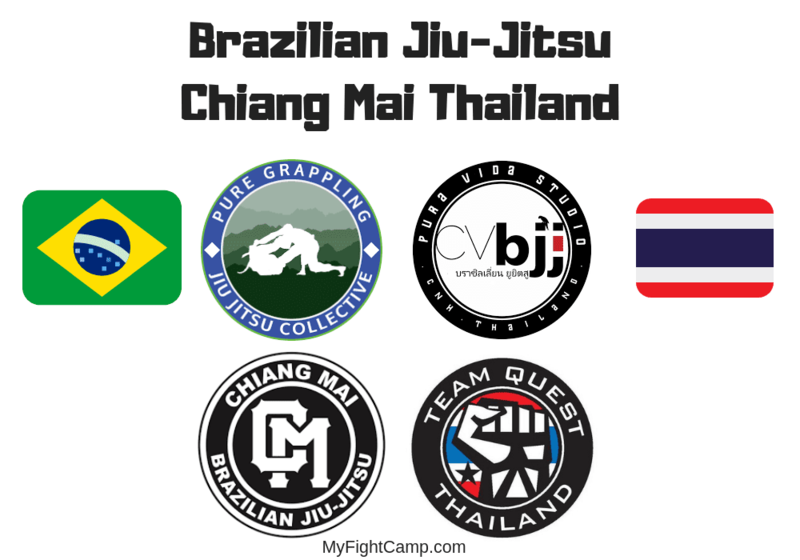 The only thing I didn't like about Chiang Mai BJJ and that honestly just made me forget they existed until recently was the fact that they chose to call themselves Chiang Mai Brazilian Jiu-Jitsu instead of a unique brand or school name. The generic name made them slip out of my mind when looking for gyms, and honestly I thought it wasn't the most savory thing to do unless you're the only school in a city or region at the time of opening or reopening a gym, and even then I don't think it's a good idea. Regardless if they choose the name because of historical reasons or for easy search rankings and SEO, the fact is, it's confusing when trying to talk about BJJ gyms in Chiang Mai. 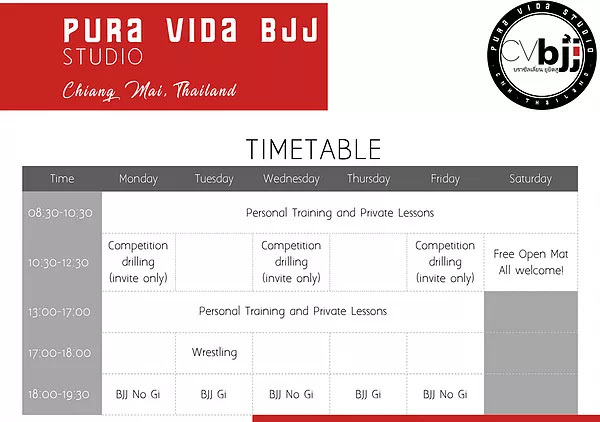 It's a disservice to the community and future students looking to compare and find the best BJJ gym in Chiang Mai. They could have called themselves something like Kaijin Chiang Mai BJJ, Bigfoot Chiang Mai BJJ, Garth Taylor Chiang Mai BJJ, or whatever suitable name they wanted. Even if the school itself is fine, the impression I got online while reaching which BJJ gym I should attend as a customer myself and while speaking with other BJJ practitioners in Chiang Mai about where to train has been annoying and unnecessarily complicated. To the gym owners out there, I would highly suggest everyone think about the long term big picture instead of short term. Things like gym names and building leases really need to be thought about in advance as moves are usually not for the better. I would suggest having a very clear option to extend the lease after 1-2 years to 10+ years if things are going well, even if you have to pay a bit extra each year. I'd also suggest everyone invest either a bit of time or money in building a basic, but useable website. You can just use a drag and drop site builder like squarespace, wix, or weebly for $5-$10 a month. You can easily build and update it yourself using templates. Don't ever rely solely on a facebook page. But do post photos from each class on your facebook and instagram as people like to see who's currently showing up and the most you post, the more people will come. I also really like the fact that gyms like Team Quest and Pure Grappling have decent unbranded Gis for sale for 3,000 baht which is a fair price. Even better is the Gi rental program at Chiang Mai Brazilian Jiu-Jitsu (Chiang Mai BJJ) which allows people who own don't travel with a Gi to still roll. I haven't been there so I don't know exactly how it works or how many rental Gi's they have available, but I think it's a good idea to have them available or even open a new package when someone signs up for a month, while having a different price for people who use their own Gis. Something like 3,200 baht per month including Gi rental and washing included, or 2,000 baht a month without rental included would be a great pricing structure. The reason why having washing included is best for rental Gi's is the fact that it guarantees the Gi's remain at the gym for other people to use even if the normal renter decides not to show up for a few weeks, gets injured, is on a visa run or out of the country. I also think all BJJ gyms should have an open mat day where everyone is welcome to come. Not only is a good way for people who normally wouldn't go to classes to try it out. But it's also a fun thing to do on weekends and an easy way to bring friends in who are new to the sport train at a different gym. I think open mats should always be free, but having a donation box by the door with a 100 baht suggested donation and paid Gi rentals and washing is also a fine idea. At the old, now no longer Fight Fit BJJ that's dearly missed. 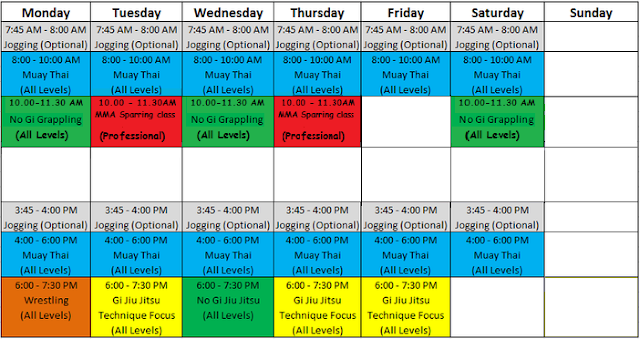 Here are the training schedules for Brazilian Jiu-Jitsu Classes in Chiang Mai. Since class times and schedules change often, please click each schedule to be taken directly to the website of each gym's schedule page, or in Team Quest's case, since their website is broken, to their facebook page where you can scroll through 3 months of photos to look for their current schedule. It's smart that some gyms already stagger their Gi training days to be the opposite of everyone else's as that'll capture the people who either can't attend M-W-F or want to join two gyms to roll Gi 5-7 days a week. The only day that's truly missing in Chiang Mai currently is an open mat on Sundays which would be nice to have even if they closed on Saturdays or a random weekday instead to have a day off. 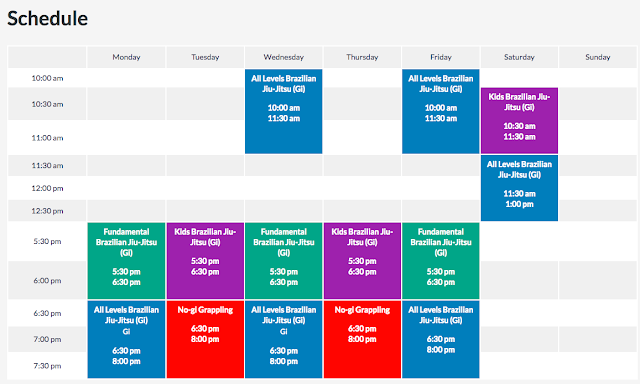 Check out CM BJJ's website for their current schedule. As for which is the best BJJ gym in Chiang Mai, and where you should train. My advice is to check a few of them out based on where you've living in the city, go to a class, check out their own mat sessions, and realize that we're in a super fortunate time to have this much choice on where to train. 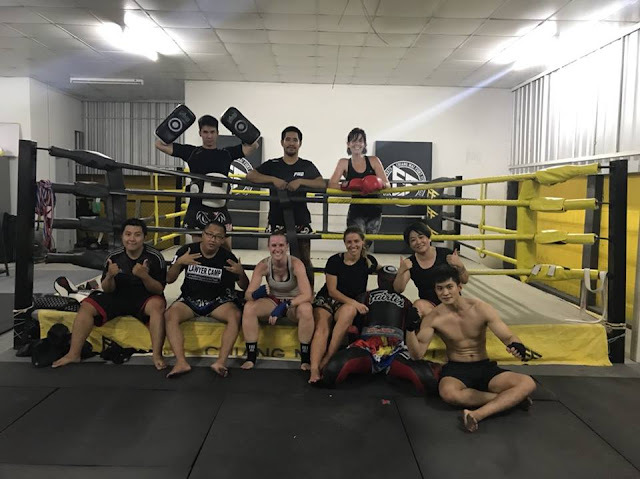 I hope having multiple schools focusing on different things will help grow the BJJ scene in Chiang Mai as a whole and encourge more people who would have previously went to Phuket or Brazil to train to come here here. 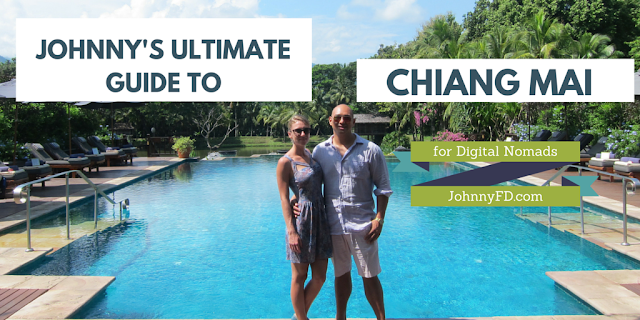 If you're new to the city or want to know more about where to stay, what sim cards to get, how to get around, etc, read my blog post on All Things Chiang Mai next. I hope this 2018 update has helped everyone. 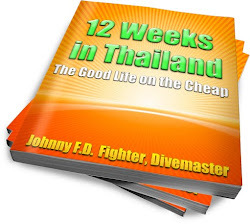 If you want to know more about how I got started in Muay Thai and BJJ here in Thailand, and how I quit my job to move here and train full time, read my first book on Amazon or at 12 Weeks in Thailand: The Good Life on the Cheap. Hope to see all of you in class one day. Until then, roll safe, and keep training! Oss! Questions? Have something to add? Comment Below! Have you been training BJJ in Chiang Mai? Let us know your thoughts here! Hey Ken, glad to be able to share! I'm glad it'll help next time you're in CM! 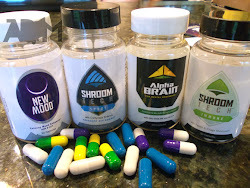 "I know they did it for easy search rankings and SEO reasons, but not only is it confusing when trying to talk about BJJ gyms, it also makes me feel like they care more about getting free search traffic than building up a reputable brand name and positive reputation." Jeez... that's some BS considering how keyword stuffed this article is. You didn't even train there and you're putting out this garbage. Cmon, put your name on that comment. Talk about confusing! There is a long term Chiang Mai community Facebook page called "Chiang Mai BJJ" that supports all the gyms impartially. Then someone else created another group with exactly the same name ("Chiang Mai BJJ"), and then this gym came along and named their page "Chiang Mai Bjj". I 100% agree about the unnecessary confusion the naming of the gym, facebook groups, pages, etc, has caused. Apologies for not replying earlier. I read this post just before leaving to coach some of our students at the 2018 Copa de Bangkok. I didn't want to reply in haste. I agree with a Facebook user that commented on the review- This is an extremely subjective review with some cheap shots (even with the rewrite). I can’t help but notice that many of those cheap shots are aimed at my choice of name, Chiang Mai Brazilian Jiu-Jitsu, for our gym. Quite simply, there was a historical reason I chose the name in addition to me previously teaching at Bangkok BJJ. 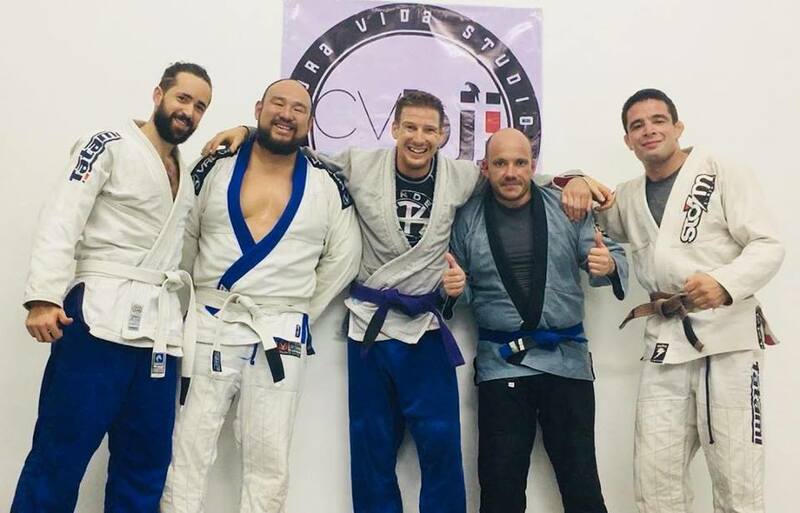 Anybody interested can read about it here http://chiangmaibjj.blogspot.com/2018/10/the-origins-of-chiang-mai-brazilian-jiu.html. It may also clear up a few inaccuracies about the BJJ scene in Chiang Mai prior to 2011. Personally, I believe that using terms like “ultra generic”, when describing any facet of a gym, be used with extreme caution (especially when it is a piece aimed at helping people decide where train). Doing so, without the due diligence of proper research (e.g. without even setting foot in said gym), is not only irresponsible, it’s downright insulting to gym’s owner(s), instructors, students, and affiliation. My suggestion to the author is before you rush to release a post that may negatively affect a school’s reputation, you may want to do proper research. In this case, even a simple email could have helped provide a more complete and non-biased write-up. It would also prevent any unintended animosity from arising. If the author disagrees his review reflects negatively on Chiang Mai Brazilian Jiu-Jitsu, I would say that while I was at the Copa this weekend, I had more than a dozen conversations with various members of Thailand’s BJJ community regarding the subject. The consensus of the write-up was overwhelmingly negative in regards to how it represented our school. All thought it lacked objectivity and was written with bias. I agree. Thanks for your thoughts and the comment. I've linked your BJJ History post above in the article. I'm not so sure the edit reflects any more accurately on our gym, but fine, I understand your point of contention. Everybody's entitled to their opinion. Please chose a more recent photo though. I'm not sure how you decided on that particular shot, but it's over 2 years old. Our gym and student diversity has changed dramatically since then. You literally can go to our Facebook page and download a photo taken within the last week at any given time. Thank you. It's because of "Chiang Mai BJJ's" generic name that I couldn't even find your official facebook page as it was the 7th result and lost in facebook's search. I wasn't trying to make it hard on your gym, your naming choices are making it hard for people looking for a gym to train at, and write posts like this to even find the post recent info. Then 4 posts from friends talking about BJJ in Chiang Mai that mostly have nothing to do with your gym. I updated your photo, but it literally took me 20 steps to find it. I stand with my review above that your naming choice for the gym is makes talking about BJJ, researching BJJ in Chiang Mai, and even finding info overly complicated while your gym reaps the benefits of popping up in SEO for no reason other than the generic name being a keyword search term.